Are fan-made games the future of the industry? Read on to find out! When it comes to video games, if there is anything the community is clamoring for, it’s being challenged and learning the secrets of a game. Everyone always wants to be aware of those hidden things that put them in on the know, so when a growing trend answers both of these wants, it’s a beautiful thing. Allowing users to create and exploit their own challenges stowed deep away in their favorite titles makes for a fascinating experiment that shows gamers at their gamer-est. It’s this weird phenomena and subset of people that are interested in creating new goals and obstacles within the framework of a game to add longevity to it, unlock its secrets, or take better advantage of it. Perhaps a result of when Nintendo games are re-released on their eShop, they’re bereft of an achievement or trophy system like you’d see with Sony or Microsoft. As a result, gamers are more starved for extra gaming or difficulty. This might be happening primarily with Nintendo games because perhaps they’re not as difficult as these rabid gamers desire, but it also might just be because these are the most beloved titles in most gamers’ pantheons. These are the ones we know the best, so of course they’re the ones we’re dissecting and reassembling into Franken-games. 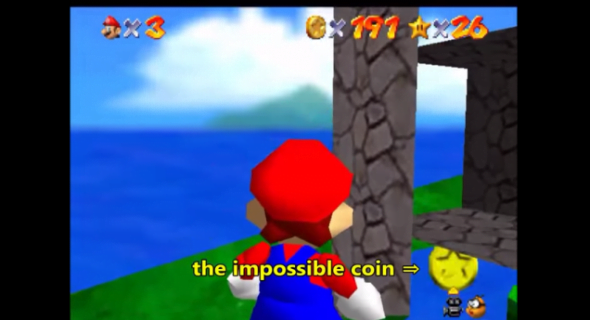 One of the better examples of this is people taking Super Mario 64 and obsessing over minutiae as they try to crack the secret of glitches like the “impossible coin” or “mystery goomba”, where the game’s own DNA is being used against itself. An intense understanding of the title’s make-up is required, which is far from a problem, as this era is often obsessed over by gamers. The two aforementioned glitches are intensive challenges that require precise jumping and maneuvering to collect/kill items that are not meant to be collected/killed, but simpler illustrations of this idea can be seen with Super Mario 64’s Green Mushroom Challenge, which asks you to activate a green 1-up mushroom that will then begin to chase after you. At this point, you’re then expected to nab all eight red coins before the looming green mushroom catches up to you. The Three Heart Challenge has become an unofficial staple in the Zelda franchise that unsurprisingly sees you completing a game without collecting any heart containers throughout the whole experience. The No Sword Challenge, created for the original Legend of Zelda, asks even more of you, forcing you to complete the game with no sword up until your fight with Ganon. The wealth of Low % and item runs done with the Metroid series also explore this same sort of new difficulty through withholding. The Pokemon series goes one step further with a fan-made harder difficulty known as Nuzlocke Mode, which sees you being forced to catch the first Pokemon you see in the wild and only fight with them. A more “realistic” slant is given to it where if a Pokemon in your party faints, they’re considered “dead” and released from your party. These customized forms of gameplay, designed to give the game further complexity and stakes, were all created by the community when they saw these needs weren’t being fulfilled. While these insane exploits and glitches-turned-new-content are impressive enough on their own, the community, through the use of emulators, has also been able to do other things like add legitimate HD graphics to games in a way that Nintendo hasn’t been able to do. 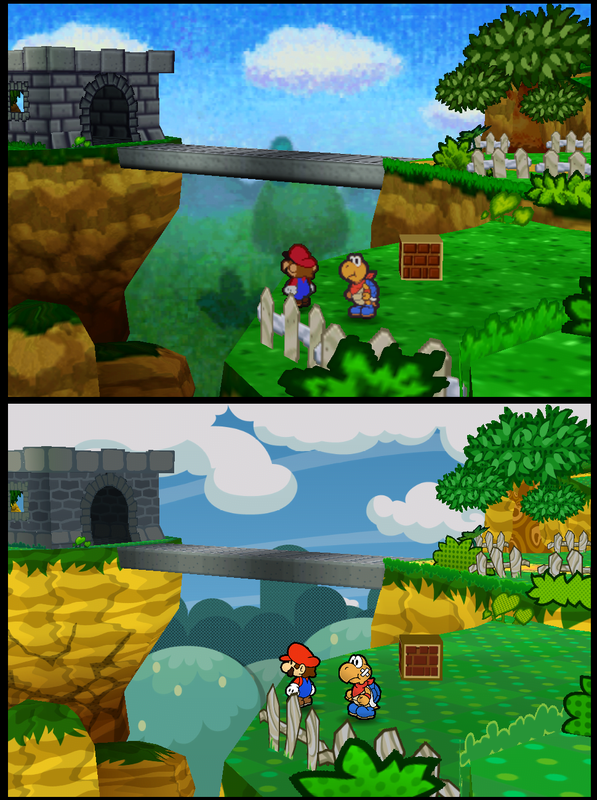 For instance, extremely impressive HD updates of Super Mario 64 and Paper Mario have been gestating for years, involving specific and advanced texturing. The Majora’s Mask community even managed to influence the updated remake that’s now appearing for the 3DS, not just in terms of support, but even coding. Would you look at the resolution on that paper? This same community has even fostered the release of un-released games (Mother 3 is no longer a pipe dream, and if you’ve ever longed to play that Star Fox 2 prototype before the property was moved to the N64, there’s no longer anything stopping you) and gained access to regions of titles that were never meant to be seen (what do you mean that you’ve never been to that far away island in the first level of Goldeneye 007!? Get on it!). 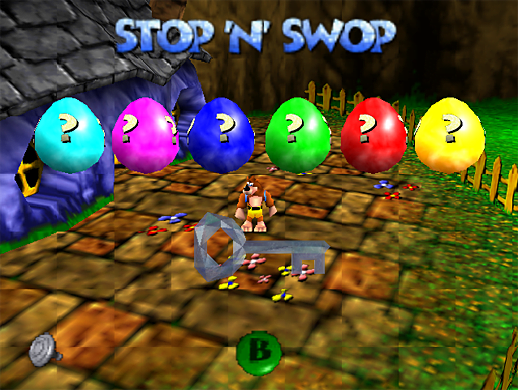 Along these lines, a community of modders known as the Rare Witch Project used a GameShark to unlock the entire Stop ‘n’ Swop feature located in Banjo-Kazooie; A piece of gaming technology that was eventually scrapped, that saw you locking cartridges onto each other to share data. Much evidence of this was left behind, like those colored eggs and ice key you no doubt noticed floating around. The community made these items obtainable, getting as far into this abandoned feature as possible. They did the same thing in Banjo-Tooie, but even managed to go one step further by finding a game locked away inside of it called Bottles’ Revenge, which involves a Devil version of Bottles floating around, possessing enemies, and fighting alongside you, that was never meant to be playable. 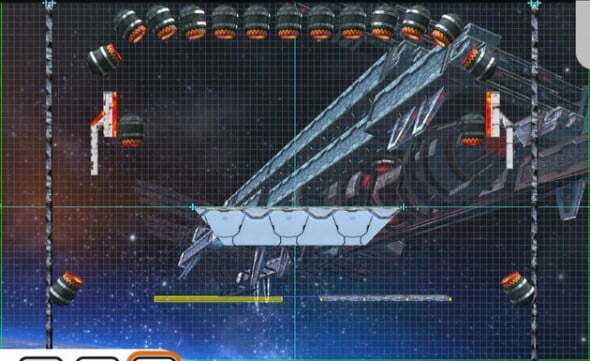 However, now it can be played by you too with the simple use of a ROM and the work of this community. In the case of Super Smash Bros. Brawl, they’ve completely re-done the game, catering it to their sensibilities by removing “unfair” mechanics from gameplay, rebalancing characters, and even crafting skins in order to create this Melee/Brawl hybrid. There’s such a degree of mastery and customization to what’s going on here that arguably, these fans seem to be putting in more effort and care than Nintendo ever did in some cases. The Smash Bros. games have continued to act as a hub for customization with people, even creating new unofficial games within games, like Smashketball in the latest entry for the Wii U. Modders are practically using the title itself as the hardware and operating system that their new games are working off of, and it’s beautiful and gaining more and more of a playing base. The community has even built an entire Pokemon based game, titled PokeBrawl, which gives gamers a whole new experience and a nice taste at what the upcoming Pokken fighting game could be like. Gamers are even creating new expansions and pseudo-sequels out of existing games’ data, like the “Missing Stars” quests in Super Mario 64, or new versions of Pokemon with advanced, different rules that have refined the mechanics and weeded out what doesn’t work. Large-scale projects such as these create a new game made by fans for fans, as is the case in Pokemon Insurgence or Pokemon Uranium. Both of these new twists on the classic formula add advanced rules and more daring concepts. Where is all of this heading, though? The likely conclusion is that this rabid community is going to get even larger and more rabid, because hackers and modders are only getting more resilient and knowledgeable. Games like Mario Maker are even coming out, which seems to be an acknowledgement that Nintendo is aware of this sort of behavior. It’s exciting to see what might be the next game or exploit to get discovered. Who knows, everyone all of a sudden might be playing Blast Corps or Jet Force Gemini because of an earth-shattering new data flaw.